The Uni is starting properly next week and I must admit that I’m really looking forward to it since it will give more structure to my life here. For the past couple of weeks I’ve been working at my new job and keeping busy with all sort of other duties, however, it felt as if I was running here and there and not getting anywhere in the end. At the moment it seems that finally all those things which worried me for the past few weeks are getting closer and closer to being resolved. By the end of this week I hope to send my accommodation contract to my future landlord in Edinburgh, send out a few applications for a festival job in Edinburgh and deal with ERASMUS papers concerning course choices for the upcoming semester. Another reason why I’m looking forward to the upcoming semester is because at least one of the courses I chose should be extremely interesting. Furthermore, once I’m back on track with studying I will go back to working on my English Literature Year Abroad Long Essay which has so far been a very exciting and pleasant experience. The reason why I’m listing all that is because in my head it feels like a scary and confusing pile of obligations and personal wishes. However, this pile is not as towering when everything is laid out clearly. That is a strategy which has always worked for me – when life appears to get really overwhelming (in a negative way), I make a list and then just go through everything step by step and suddenly everything appears to be much more manageable. A pretty cool way to use an old telephone box, don’t you think? 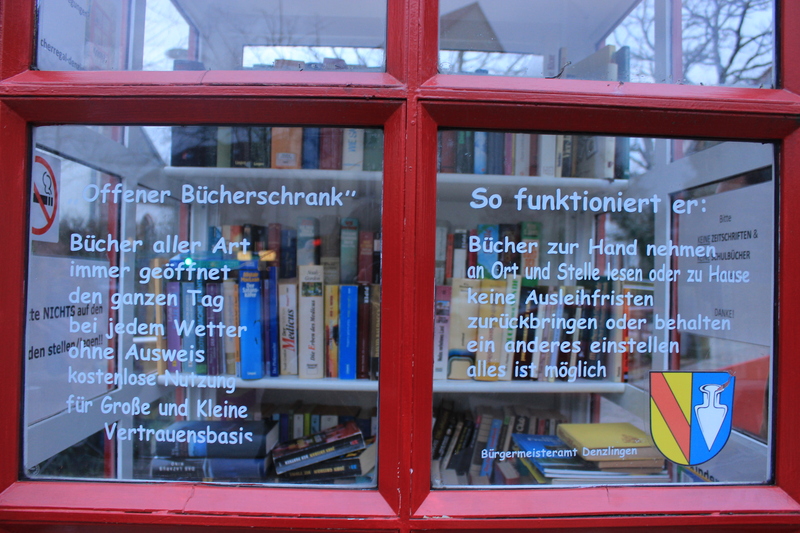 I’ve seen a few other ‘open libraries’ in Freiburg area, but none as cool as this one.